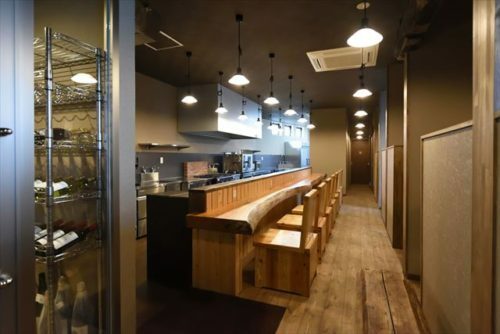 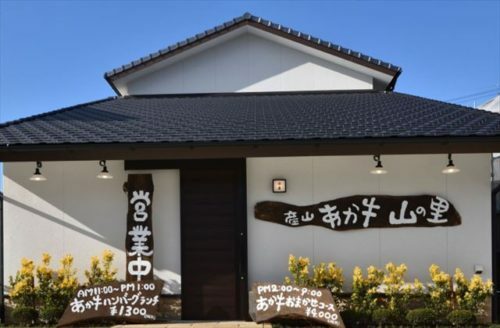 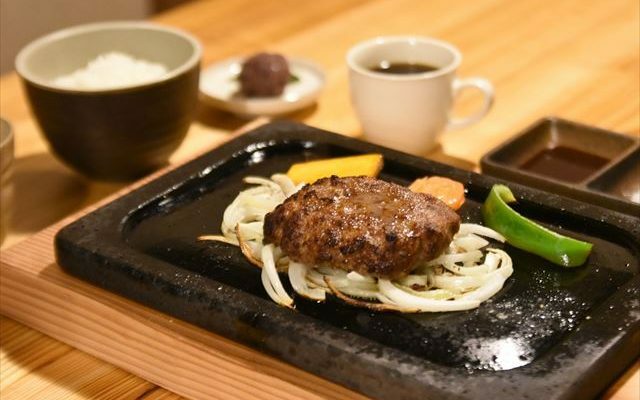 If you would like to enjoy good Higo beef from Ubuyama Village in Aso when you are in Kumamoto City, “Yama-no-Sato” is the place to go! 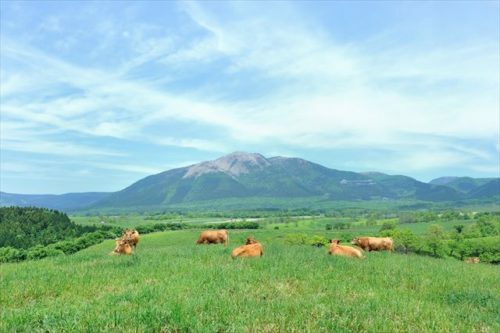 Cattle freely roam the fields in Aso, with 35% of their feed coming from pasture grass. 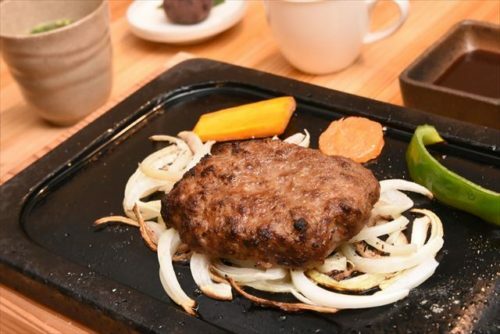 They receive no antibiotics, hormone, or GMO grains. 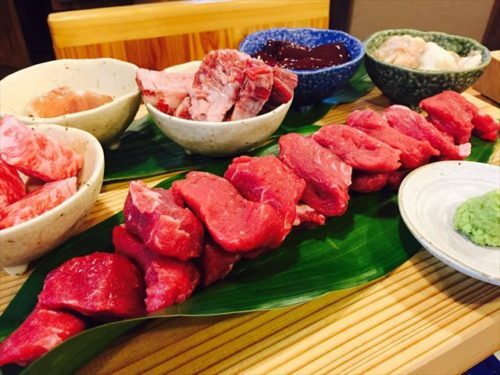 Rich in Vitamin A and E, and less fat, beef at Yama-no-Sato is enjoyed by many health-oriented people. 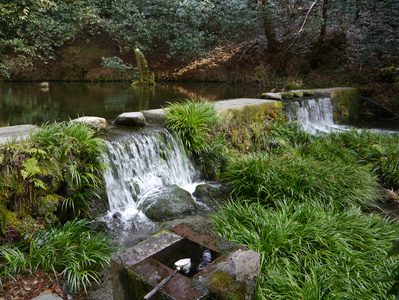 Ubuyama Village is also famous for its beautiful Ikeyama Springs, whose pure water cattle also drink on a daily basis. 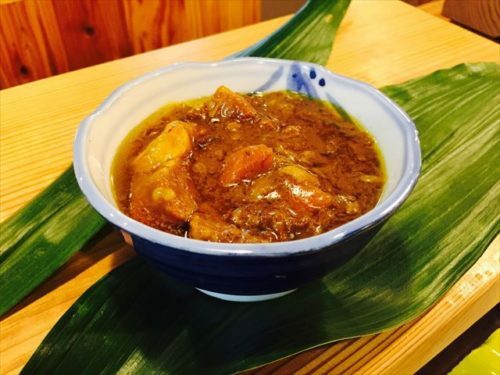 Beef curry can be added for ¥300.